This winter I have picked up interest in knitting again. I love all things crafty so am always trying to learn new things. Several years ago I learned to knit by watching YouTube videos and reading online tutorials. I have mostly made hats and I love the knitted hats I have made. Especially after I discovered how amazing merino wool and alpaca yarns are! I mean seriously, they are awesome yarns and make knitting soooooo much fun. 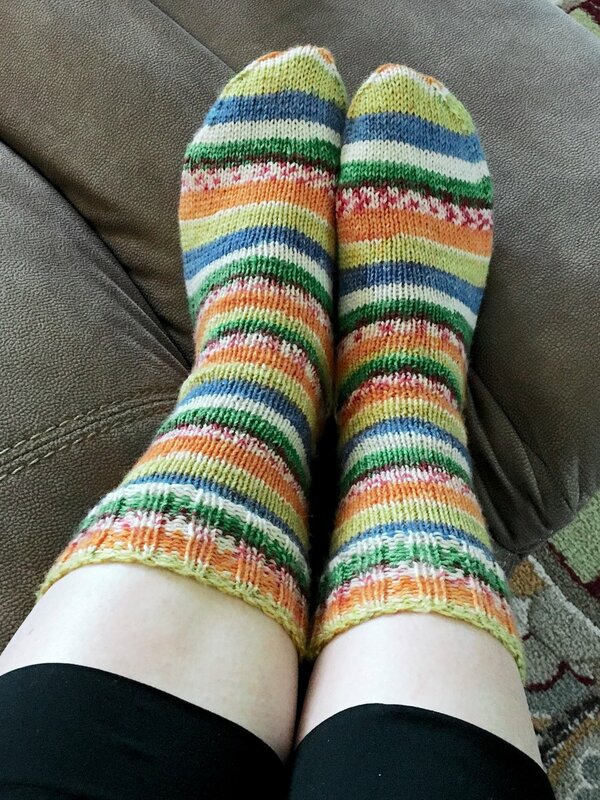 Last month I decided to start knitting socks. This winter has been pretty disappointing if you like cold weather (like me). It has been spring practically all year! Not fun if you love wearing sweaters, sweatshirts, and knit hats. So I decided to try socks. And let me tell you, sock knitting is so freaking addictive. I really think I may have a bit of a problem, but I don't care. 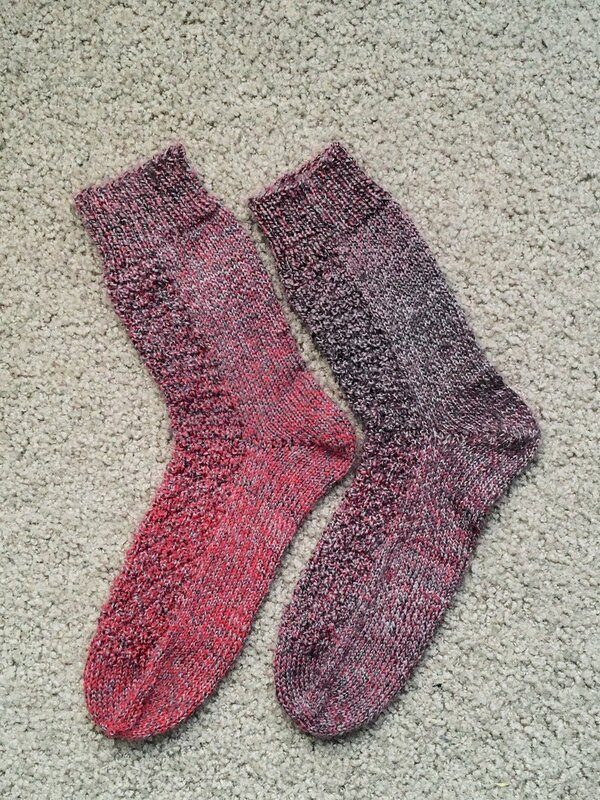 I am currently on my 3rd pair of socks and am already thinking of my 4th pair (& 5th, 6th, & so on :)). Pair number 1 - cascade yarns Heritage Prints on size 3.00 addi turbo sock rockets. I started with 2 circulars then decided on just using one 40" circular. Knitting 2 at a time. Pair 2 - cascade yarns Heritage Wave in checkers. On size 2.5mm addi turbo rockets. Again 2 at a time on long circular. Pattern by The Knitting Expat. The gravel socks from the beyond vanilla collection 1. Love this pattern and can't wait to try the others in that collection.